This article is an excerpt from E-IR’s Edited Collection, Popular Culture and World Politics. View all of E-IR’s Publications here. If a puzzle is the main research challenge, then it can be addressed with all means available, independently of their provenance or label. A source may stem from this or that discipline, it may be academically sanctioned or not, expressed in prose or poetic form, it may be language based on visual or musical or take any other shape or form: it is legitimate as long as it helps to illuminate the puzzle in question (Bleiker 2003, p. 420). The political puzzle that I am currently concerned with is militarization. There are two aspects to why the concept of militarization makes me feel particularly puzzled; first, it is often used interchangeably with militarism, and second, feminist insights into processes of militarization are still marginalised and/or ignored. In this article, therefore, I sketch out an alternative way of thinking about not only the difference between militarism and militarization but also the relationship between IR and popular culture more broadly. By combining feminist scholarship on militarization with insights from cultural theory, I aim to bring attention to the idea that there is a different logic to militarization than the one commonly acknowledged: militarization is also a process that functions in disguise as ‘common sense’, through the seemingly apolitical. Consequently, to understand what militarization does, we must analyse the political efforts that go into the construction of common sense. As students of global politics, we cannot afford to ignore the cultural politics of the everyday because this is where the effects of political processes such as militarization are normalised. Needless to say, for me, popular culture is a rather broad and diverse set of sites and cultural artefacts, perhaps only united by the fact that they are generally not taken seriously in IR. My aim in this article is to show how these sites, artefacts, but above all, ways of communicating, are political. To this end, I offer a way of thinking about the relationship between militarism and militarization that I think can help justify the use of pop culture in IR research: it concerns ideology and unconscious ideology as different forms of political communication. This is because, while I think it is essential for IR to ‘go cultural’, I would also like to encourage a move beyond the use of popular culture artefacts as objects for analysis only; we also need to take popular culture seriously as a form of political communication. I conclude by illustrating my argument about the hidden politics of militarization with a brief discussion of a YouTube advertisement by the Swedish aerospace and defence company SAAB promoting their latest fighter jet, Gripen. First, however, we need to unpack the relationship between militarism and militarization. A militarizing maneuver can look like a dance, not a struggle, even though the dance might be among unequal partners (Enloe 2000, p. 10). According to the Oxford English Dictionary, ‘militarism’ is ‘The belief that a country should maintain a strong military capability and be prepared to use it aggressively to defend or promote national interests’, but also ‘a political condition characterised by the predominance of the military in government or administration or a reliance on military force in political or diplomatic matters’. The result for ‘militarization’, however, is ‘the action of making military in character or style’. In this definition, militarism is a noun, whereas militarization is employed as a verb. For the purpose of my argument in this article, it is also important to note that militarism as a ‘belief’ indicates awareness and a consciousness, whereas the definition of militarization as an action does not say much about how that might happen. Yet, even though militarism is often recognised as a belief and militarization as a process, the concepts are often used interchangeably, which suggests that the relationship between militarism and militarization is understudied. In Militarism and International Relations (2012), the editors, Anna Stravrianakis and Jan Selby, note that the question of the meaning and value of the concept of militarism is far from resolved. In fact, they claim that the topic of militarism has disappeared in IR since the early 1990s. The reason, they suggest, is that the broadening of the concept of security that we have seen in the years since the Cold War has detracted critical attention from the problems of militarism and militarization (2012, p. 11). Militarism, a concept traditionally linked to states’ military expenditure and the Cold War’s arms race, has since the early 1990s, they argue, been sidelined in IR by academic discourses such as ‘failed states’, ‘new wars’ and ‘human security’: Discussion of militarism has ‘fallen out of fashion in IR’ (2012, p. 5). Even though the editors acknowledge that feminists ‘have kept the discussion on militarism alive’ during this time (2012, p. 4), the book regrettably fails to build on the long tradition of feminist scholarship and peace activism that have critically engaged with militarism and militarization as often linked to nationalism and always linked to gender – the social construction of masculinity and femininity – as a critical factor in the construction and perpetuation but also potential reversal of militarism. Stavrianakis and Selby identify five ways in which militarism (not necessarily militarization) has been defined or conceptualised. The third conception listed is when militarism and also militarization are seen as the equivalent to military build-ups, an approach that is dominant within contemporary peace research and remains focused on (states’) quantitative increases in weapons production and imports, military personne and military expenditure. Here, militarism and militarization are measured through various indicators. For example, the Stockholm International Peace Research Institute (SIPRI) famously publishes statistics on states’ arms expenditure. Another example is the Bonn International Center for Conversion (BICC), which has published a so-called ‘Global Militarization Index’, through which they claim that ‘worldwide militarization is objectively depicted for the first time’. The Global Militarization Index measures a country’s level of militarization by comparing its military spending in relation to its Gross Domestic Product (GDP) and health spending, information compiled from SIPRI, the IMF and the WHO (BICC 2014). Furthermore, ‘militarization’ is normally understood rather literally. Making something military in character or style is most often visibly associated with armed forces and readiness to use political violence. For example, a quick Google Images search on ‘militarization’ almost exclusively results in images that include weapons or military equipment/personnel. A majority of images centre on heavily armed police officers, reflecting recent debates on the excessive use of force by police during protests and civil unrest, such as in the US city of Ferguson. In fact, at the time of writing (November 2014), a Google search on ‘militarization’ gives the following suggestions: ‘of police’, ‘of police Ferguson’, ‘of the arctic’, and ‘of space’. As I expand upon below, these examples of how militarization is used and understood are not necessarily wrong, but in my view they only give a partial understanding of militarization, and they certainly fail to problematise differences between militarism and militarization. That an institution such as the police force is increasingly getting a military character could be the result of a militarizing process, but while these images show the effects of militarization, they do not necessarily tell anything about the process of militarization, nor, in fact, about the ideology of militarism. In contrast, the purpose of this article is to show that there is more to militarization than what is immediately apparent. This is because, from a feminist perspective, militarism is not merely an ideology/belief/value system but also a set of social relationships organised around war and preparation for war. This insight in turn suggests an understanding and leads to an analysis of militarization as a specific cultural transforming process by which a person or a society gradually comes to imagine military needs and militaristic presumptions to be not only valuable but also normal (Enloe 2000, p. 3). More specifically, a feminist approach to militarization is interested in the gendered aspects of such processes of normalisation, how militarisation links to and ultimately manipulates ideas about both femininity and masculinity. Thus, whereas images of an increasingly militarised – as in military-looking – police force and the Global Militarization Index tell us something about a state’s preparation for using political violence, domestically or internationally, in relation to actual military capabilities, a feminist perspective offers an analysis of a society’s preparation for war and/or the use of force which is not only much broader but also analytically deeper: by exploring how society in general supports the idea of war. This is about people’s, rather than state officials’ or the government’s, preparation for war. To Enloe, the more militarised an individual or a society is, the more ‘normal’ military needs and militaristic presumptions become. This is why it is useful to think about militarizing manoeuvres as a dance rather than a struggle, as quoted above. Crucially, this means that processes of militarization do not only take place in the obvious (military) contexts and places, but, in fact, the list of what can be militarised is virtually endless. In my reading, Enloe’s influential research on militarism and militarization offers a substantial piece of the political puzzle that is militarisation, that is, what the effects of militarization may look like – as sneakers, bananas or beaches – or how it impacts upon women’s lives. However, as mentioned above, I am also interested in popular culture as not just an object to study but a way of communicating IR. Thus, in order to analyse the process of militarization, I turn to cultural theorists Roland Barthes and Stuart Hall and their ideas on ‘common sense’, myth, discourse and ideology. In the preface to the essay collection Mythologies, first published in 1957, Barthes explains how he ‘wanted to track down, in the decorative display of what-goes-without-saying, the ideological abuse which … is hidden there’ (Barthes 2000a, p. 11, emphasis in original). Cynthia Weber discusses the politics of Barthes’ ideas on myth – that which is seen as common sense – through the concept of ‘unconscious ideology’, which is ideology that is not formally named and that is therefore difficult to identify. It is the common sense foundation of our worldviews that is beyond debate (Weber 2005, p. 5). Weber argues that we use ‘unconscious ideologies’ to help make sense of our worlds, very often without realising it. And because we do not realise we hold unconscious ideologies or use them to make sense of our worlds, we very rarely interrogate them. We rarely ask difficult questions that might upset their status as ‘common sense’ (Weber 2005, p. 5). The way in which I use ideology here is therefore not an essentialist understanding of militarism as glorifying war and military institutions, but draws on Stuart Hall’s understanding of ideology as systems of representation. Importantly, Hall argues, ideologies do not operate through single ideas but ‘in discursive chains, in clusters, in semantic fields, in discursive formations’. Ideological knowledge is therefore the result of specific practices involved in the production of meaning (Hall 1985, pp. 103-104). Barthes suggests that if we can understand how a narrative is seen and consumed as common sense, we can expose underlying hierarchical structures. He refers to the ‘narrative situation’ as the protocols and ‘grammar’ according to which the narrative is consumed (Barthes 2000b, p. 287). In this way, militarization can be seen as a particular security practice involved in the creation of ideological knowledge consumed as common sense, whether it is hidden or not. In my reading, both militarism and militarization have to do with ideology, and both function as preparation for war; however, they do so in different ways. I find it useful to think of militarism as a belief in those relationships directly linked to military institutions, soldiering and practices of warfare, whereas I think of militarization as forming part of the not-so-obvious practices, relationships and politics of militarism in ‘the everyday’. In other words, I think of militarism as an open, visible and conscious display of militaristic ideology, and militarization as a much more subtle process of the normalisation of a militarised society. Thinking about militarization in this way facilitates an analysis of how a society’s military character is entertained and normalised into ‘common sense’ beyond the obvious ‘military characteristics’. To sum up, militarization is a normalising process to do with preparation for war: the social and cultural preparation for the idea of war, which relies on a gendered logic, takes place in ‘the everyday’, and is communicated through popular culture. IR should acknowledge popular culture as a form of political communication, and an advertisement by the Swedish defence manufacturer SAAB demonstrates why this is the case. The seven-minute-long advertisement video posted on YouTube on 10 January 2013 by SAAB AB is titled ‘Gripen NG: a new generation is ready. Are you?’ For a student of IR, the Gripen fighter jet video is rather resourceful. IR concepts that spring to my mind include deterrence theory, Responsibility to Protect, postcolonial theory and the silencing of others, international law and legal norms, gender, enemy constructions, security dilemmas, and increased beliefs in surveillance as intelligence gathering; others, I am sure, will find even more ways into political IR puzzles. The narrative structure has three ‘layers’: first, a voice-over narrative tells an overarching story of intent, of why the Gripen fighter jets are needed in a world where ‘there’s much beauty … but also violence’; second, the more specific plot is the action-film narrative telling a story about a particular successful mission for the Gripen fighter jets; last, the video also includes a presentation of technological details specific to the Gripen fighter, all reminiscent of how one might select a weapon of choice in a videogame. In this article, there is no scope to analyse the video in great detail. Instead, my aim is to draw attention to two different levels of analysis relevant to my argument: content and context. Most obviously and visibly, this is an advert for a military product, but it is what it communicates more broadly that I think of as useful for shedding some light on processes of militarization. Content-wise, I focus on the voice-over narrative because this is where the purpose of having these kinds of weapons is most obviously communicated. To me, how the purpose is justified offers insights into militarization. There’s much beauty here. But also violence. Brother has turned against brother and the whole region is about to burst into flames. Equipped with the most advanced sensors and weapons wings can bear, we struggle to prevent the conflict from spreading further. An unarmed country, desired for its strategic value, it would be overrun any day. So we fly, to keep them safe. We are Gripen pilots … . We fly. The area we uphold is vast, but we can stay in the air for hours and nothing escapes our watchful eye. The camera zooms in on the aeroplane’s ‘nose’ that has a camera, i.e. the plane’s eye. After a brief discussion in the control room, a team of Gripen fighter jets (Fourship Kingdom) are tasked with destroying a nearby bridge that the enemy troops are heading towards on their way to the fictional capital, ‘Freedom Town’. The officer in charge in the control room acknowledges that the bridge is important ‘for the people we are here to help’ and that they would need ‘top-level clearance’ to destroy it. The president of the host-nation, assumed to be an African country, signs a decree to give the Gripen pilots the green light to destroy the bridge. Illustrating an argument about how the politics of militarization is different from militarism by focusing on an arms-producing company like SAAB might seem odd, as such a company benefits from war financially and the product it sells is used by states’ armed forces. It obviously benefits from militarism as in ‘the belief that a country should maintain a strong military capability’. However, as mentioned above, what I am interested in are the militarised manoeuvres that have ‘travelled’ from the obvious military settings into a non-military, seemingly apolitical, context. In other words, in addition to the politics related to the content, it is the fact that this is an advertisement on YouTube that interests me. To me, the Gripen advertisement is an excellent source for illustrating the relationship between militarism and militarization precisely because what is ultimately ‘sold’ is not actually the product advertised; after all, the target audience of this short film will not be in a position to buy a fighter jet. Without knowing the ‘real’ – as in the manufacturer’s – reason behind the making of this particular video and its being posted as online advertisement, I would argue that what is ‘sold’ here is the ideology of militarism and the idea of war as a constant feature of our society. Through a focus on purpose (‘Why are we here?’) the video reproduces not only war and violent conflict as normal ‘elsewhere’ but also the use of force as the solution to such conflicts, something that is particularly intriguing considering Sweden’s pride in their ‘200 years without war’ history. This is how militarization functions as a normalisation process; this is how the idea of war is reproduced as common sense. There is no doubt much more to say about Sweden’s politics of ‘neutrality’ and its reliance on an arms industry despite its long history of ‘peace’, but that would be outside the scope of this article. Here I hope to have shown that the Gripen advertisement is about both militarism and militarization. This source supports the argument that unless we pay attention to what is happening beyond the most visibly militarised context – beyond the display of weaponry, soldiers and armed forces – we will miss an important dimension to the logics of militarization. There is more to militarization than commonly acknowledged. Thinking about militarization as ‘unconscious ideology’ offers one way in which to explore the hidden politics of the everyday, processes that will be lacking in IR unless the discipline takes seriously the politics of popular culture. Thinking about IR, militarism and ideology on the one hand and popular culture, militarization and unconscious ideology on the other has enabled a focus on popular culture, not just as an object for analysis in IR but as a way in which global politics is communicated and understood. We therefore need to take popular culture seriously as a form of political communication. Bonn International Center for Conversion, ‘Global Militarization Index’. 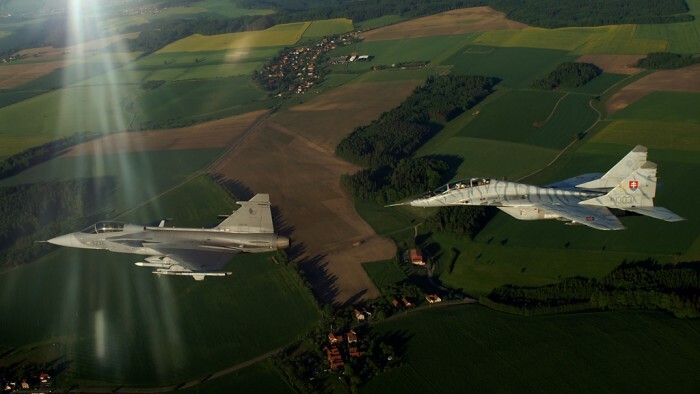 Saab AB, ‘Gripen NG: a new generation is ready. Are you?’, YouTube. Åhäll, L. (2012) ‘The writing of heroines: Motherhood and female agency in political violence’, Security Dialogue, 43(4): 287-303. Åhäll, L. (2015) Sexing War/Policing Gender: Motherhood, Myth and Women’s Political Violence, London: Routledge. Barthes, R. (2000a) Mythologies, London: Vintage. Barthes, R. (2000b) A Roland Barthes Reader, S. Sontag (ed. ), London: Vintage. Bleiker, R. (2003) ‘Learning from art: A reply to Holden’s “World literature and world politics”’, Global Society, 17(4): 415-428. BICC (2014) ‘The Global Militarization Index’, [accessed 19 August 2014]. Enloe, C. (2000) Maneuvers: The International Politics of Militarizing Women’s Lives, Berkeley: University of California Press. Hall, S. (1985) ‘Signification, representation, ideology: Althusser and the post-structuralist debates’, Critical Studies in Mass Communication, 2(2): 91-114. Stavrianakis, A. and Selby, J. (2012) Militarism and International Relations: Political Economy, Security, Theory, London: Routledge. Weber, C. (2005) International Relations Theory: A Critical Introduction, London: Routledge. Weldes, J. (2003) ’Popular culture, science fiction, and world politics: Exploring intertextual relations’ in J. Weldes (ed. ), To Seek Out New Worlds: Exploring Links between Science Fiction and World Politics, New York: Palgrave, 1-27. Linda Åhäll is a Lecturer in International Relations at Keele University, UK, and also currently Postdoctoral Researcher in the Militarization 2.0 project at Malmö University, Sweden. Her research explores the crossroads of gender politics and security studies, often through popular culture, and contributes to feminist security studies as well as studies of visual global politics and the politics of emotions. She has published in journals such as Security Dialogue, the International Feminist Journal of Politics and Critical Studies on Security; is the co-editor of Gender, Agency and Political Violence (2012) and Emotions, Politics and War (2015); and is very happy that her monograph Sexing War/Policing Gender: Motherhood, Myth and Women’s Political Violence is published as part of Routledge’s book series, Popular Culture and World Politics, in March 2015.